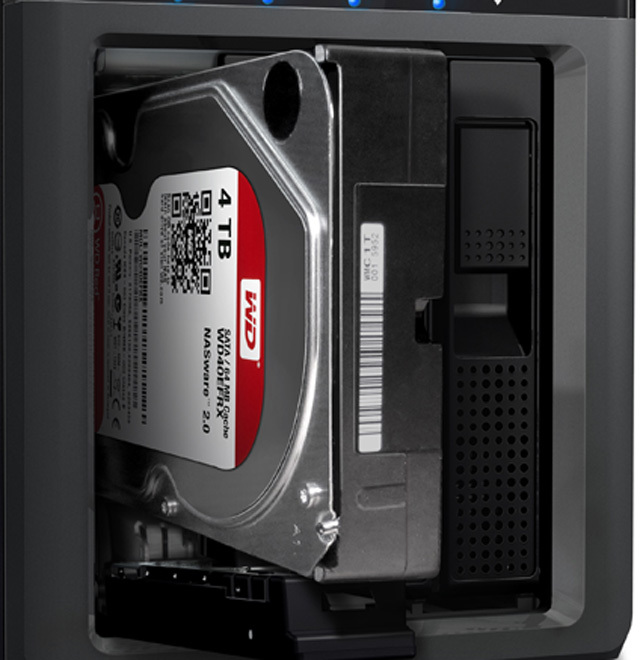 To say I’m quite a fan of Western Digital’s WD Red hard drives is something of an understatement: I’m now running two NAS units using six of drives – a four-bay as a main server, a two-bay as a backup – and they’re now the main source for all my listening. What’s more, I wrote a couple of blog pieces on setting up NAS units using the drives for that mob I used to work for – the name escapes me now, but I am sure you can find the pieces in question if you click here and here – in both cases using NAS devices from QNAP in combination with the WD drives. And so far the systems have performed faultlessly: even a momentary power outage the other day, responsible for blowing the main fuse in at least one very expensive piece of equipment I have here and knocking out a PowerLine Ethernet adapter, just saw the UPS I have doing its stuff, and the NAS units back on the case perfectly once composure (mine!) had been restored. 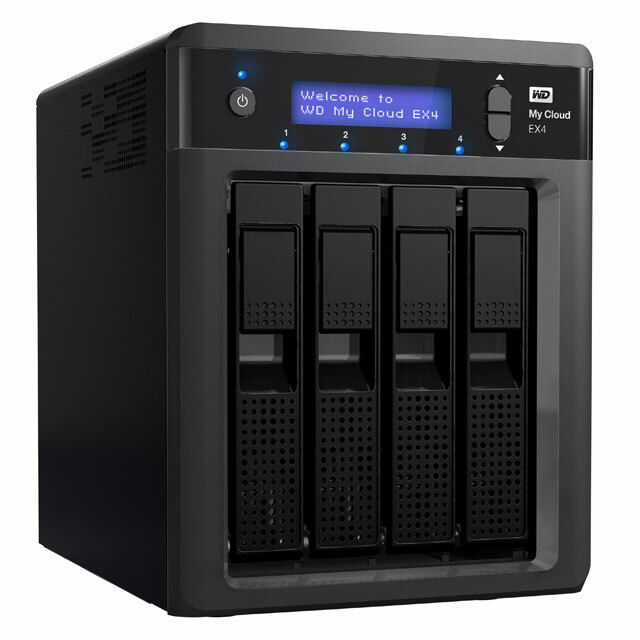 Anyway, WD has now launched its own four-bay NAS system – My Cloud EX4 – as an expansion of its existing My Cloud NAS range. Prices start at £319 for the bare-bones NAS enclosure, and then increase depending on the WD Red drives you choose to have factory-installed: the 8TB version is £679, the 12TB £799 and the 16TB a pound short of a grand. Or you can start with the bare unit, fit it with a couple of drives, and then expand capacity by adding extra drives as and when you need them. The EX4 uses WD’s Easy-Slide-Drive technology, meaning that no tools are needed to install or remove hard drives, and there are two USB 3.0 sockets on the rear to allow extra storage to be slaved off the NAS, which also has two Ethernet ports for connection to your network. That, plus redundant power supplies – there are two separate power supply inputs –, should ensure continuity of operation in case of a failure. The My Cloud EX4 runs a 2GHz processor with 512MB of internal memory, and comes ready-equipped with both WD SmartWare Pro software and Apple Time Machine compatibility for backup functions. In addition, it can also back itself up to another EX4 in a different location or to cloud services. It has both Twonky 7.2 DLNA/UPnP and iTunes server for streaming music, videos and pictures, and the usual FTP and P2P functionality, along with Anywhere Access allowing users of the WD My Cloud app on iOS and Android devices to manage the server, and view, play and share content wherever they happen to be. And with major public cloud services such as Dropbox, SkyDrive and Google Drive accommodated, users can easily transfer files from those services. Customisation of the NAS is available from the dashboard, which will also allow users to add a range of third-party apps to the unit. ← Pure’s new Deutsche Grammophon radio – who you callin’ yeller?